…doctor of dental surgery at City Dent and “Université Paris V – René Descartes” graduate, in Romania 9 out of 10 people suffer from or will develop a Periodontal disease. 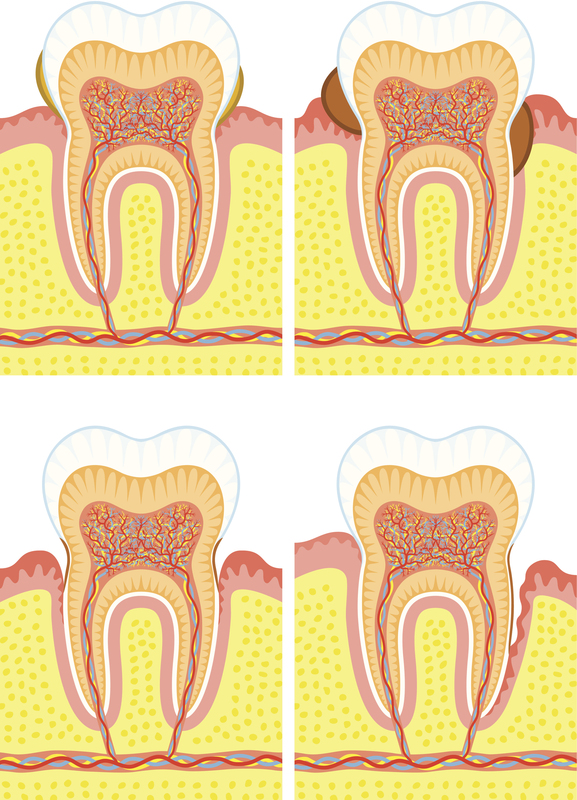 Find out more about Periodontitis symptoms and treatment. The first stage of this disease is called Gingivitis. During this stage gums can become red, inflamed and can bleed while brushing. Gingivitis is generally characterized by a reversible gum inflammation, while Periodontitis implies lesions which lead to irreversible teeth support tissues: gum, bone and periodontal tendon. If discovered at an early stage Periodontal disease ca be reversible. It is good to know that young patients aren’t immune to these diseases. The most aggressive Periodontitis affects the young adult and rarely appear at the end of adolescence. The main causes are: genetical (predisposition to Periodontitis), as well as an insufficient and incorrect dental hygiene. Doctor Tudor Vaideanu recommends Periodontitis treatment in treating bleeding and inflamed gum. Peridontitis often appears becuase of undiagnosed and untreated Gingivitis. In the case of patients who are over 40, Paradontitis frequency and severness cause more dental extractions than cavities. Paradontitis and gum problems frequently appear as a consequence of vocal cavity bacteria infections. The first is mainly caused by germ mass increasing and the development of bacteria species which are more aggressive to dental plaque and upper or lower gum tarter. Researchers have shown that there is a close connection between mouth infection and other apparently independent medical problems like: coronary disease risk, heart attack, uncontrolled diabetic, premature birth and respiratory diseases. With the help of a special test you can find out if you are a Periodontal disease candidate. This disease is often a silent one, but due to this test existent bacteria can be identified. It is not painful and consists of taking samples from each oral cavity quadrant and sending them to special analysis laboratory. The test result will be interpreted by a Paradontist who will present you the treatment alternatives. Gingivitis and Pradontitis are frequent oral cavity problems. Approximately 9 out of 10 people suffer from or will develop Periodontal disease, Doctor Vaideanu states. For more information about this disease we recommend you to watch the interview with Doctor Tudor Vaideanu.